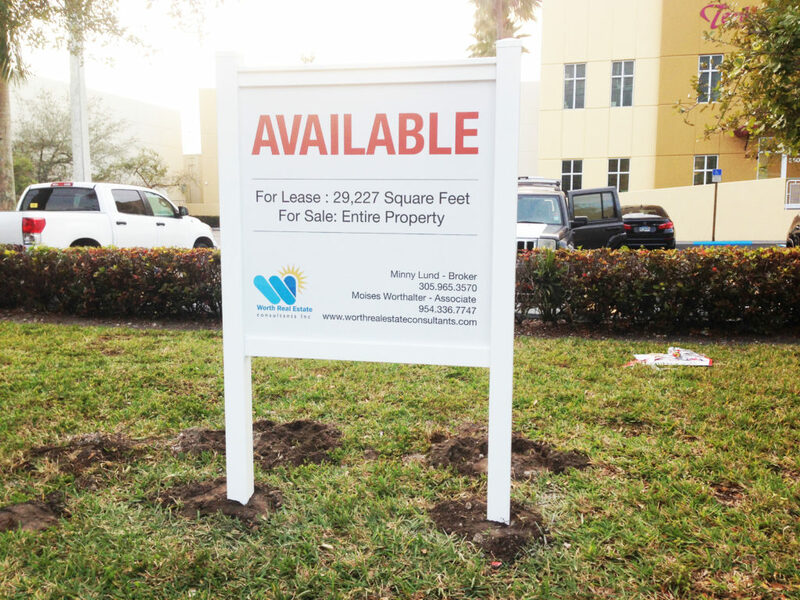 Real Estate Signs, Sign Posts and Installation Services in South Florida and Miami areas. 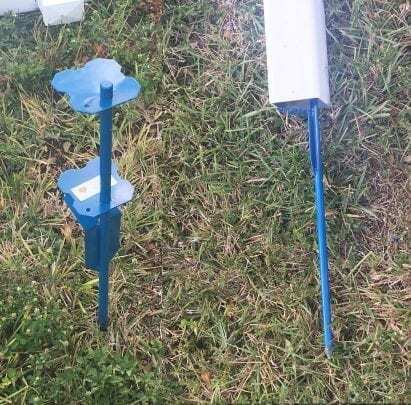 Property post signs with 2 posts start at $427 for a 2×4′ kit and $192 for a real estate t post with ground breaker spike. Wherever you look there are real estate signs, at times they are even more than the political signs during campaign periods. These signs are very important whether you are a buyer looking for your ideal home or a real estate company like Keller Williams Realty selling your houses in the market. They provide a lot of information to help market the property, so the buyer doesn’t have to ask many questions when they contact the realtor. Anyone who calls will have to be a serious buyer who most probably will by the property since almost every necessary information is provided on the commercial real estate signs. This kit is designed to be able to be done by yourself with minimal efforts using a hammer with good soil. The real estate signs can contain information like square footage, the person selling, the price of the home and the realtor’s contact information among other necessary details. With so many types of signs like magnetic signs and metal signs, any new real estate company has a choice as to what to use in marketing their houses for sale. 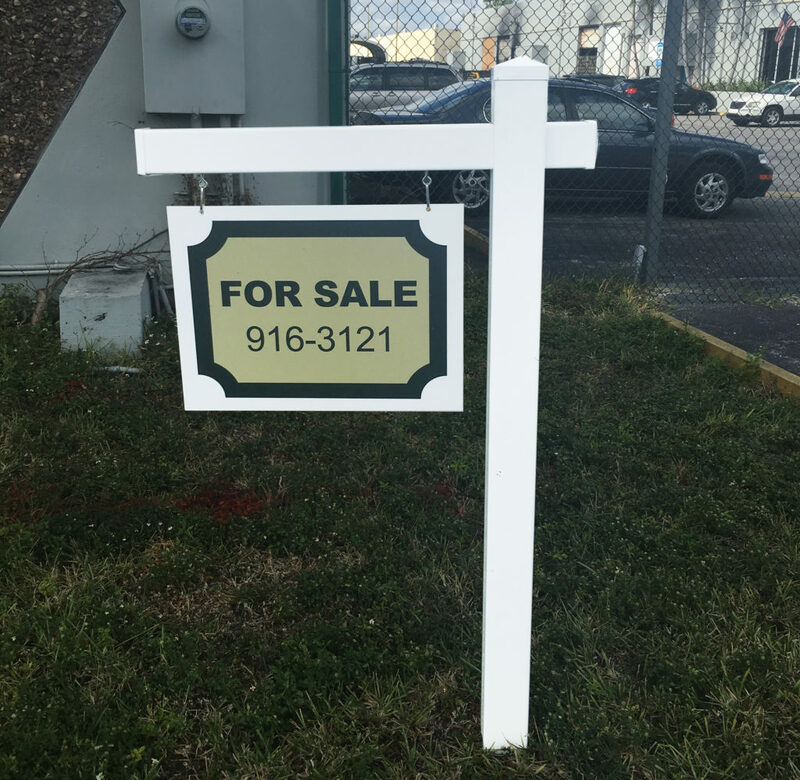 Within Miami, Miramar, Coral Gables and Hialeah, any company looking for real estate sign post installation can use our professional services. With over ten years of experience in the business of signage, nothing is beyond us. We can handle signs in any material and any size. Those businesses planning to change their shop front or warehouse large signs can get the best services to make their business shine again for better business performance. Both new and old business like Corcoran Group can greatly benefit from our real estate sign company especially in this highly competitive property market. Order our real estate sign post drivers for an easy installation and removal. – A good sign can be compared to a good salesperson. People buy things from places they easily put names and faces to which is why many realtors include their faces. Installing for example vinyl real estate sign posts will make your business stand out from the crowd or show your house is up for sale. It is your customer’s or clients first contact with the business, so make it look good. – Using interior signage like our hanging signpost, customers can easily identify product areas for faster and convenient shopping or navigation within a warehouse or large establishment. – It expands the opportunities for a small company to promote itself inexpensively. A business sign can help reinforce your advertising since it is a link between your customer and your business. – Since it is a one-time installation, signage is cost effective only requiring occasional changes over the years. – When strategically installed, business signage can be a powerful tool to convey messages to passengers of passing vehicles and pedestrians hence increased sales. – Routed PVC signs: it offers the advantages of combining sandblasted signs and routed signs and the flexibility and durability of PVC. These are preferred by spa and salons, restaurants, manufacturing companies, and inns. 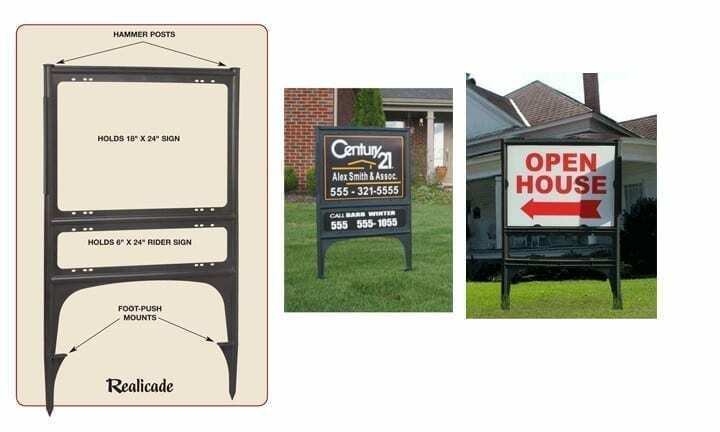 – Monument signs: slightly expensive commercial real estate signs compared to ordinary signs, these are perfect for creating lasting impressions. It gives business a personality and improved exposure. – Channel letters: for your storefront, we can make large plastic or metal signs with large three-dimensional letters that can be illuminated to provide a perfect marketing for your store no matter the size. – Pylon signs: these are made to carry the names of many businesses on a single board. A real estate company like ERA Real Estate and greatly benefit from this, especially where there are competing companies within the lane. – Lightboxes: one can install an illuminated, modern light box sign in areas with dim light like supermarkets. – Business signage: a company like RE/MAX can consider installing large real estate sign frames from the ground or on top of doors for maximum reach. Ground signs can be placed along the road to attract pedestrians, motorists, and their passengers. – Aluminum signs: for metal real estate signs and sandwich board signs, we have the skills and professionalism to give any real estate business including Century 21, Coldwell Banker, Beachfront Realty, Keyes Company, Berkshire Hathaway, EWM and Camden the best possible services for their marketing needs. – Yard signs: for yard sign frames and the signs themselves, talk to us. Other than real estate sign post installation, this type is used for political campaigns. They are very cheap and serves efficiently in whatever color and size a client may want. Our company has served the area around Miami and Coral Gables for years with many types of signs and products like vinyl real estate sign posts, A-frame signs, bandit signs real estate and magnetic signs among others for small indoor use and large signs for outdoors purposes. *Installation prices may vary depending on the location of installation, size, and complexity of the dirt. Miami has many areas that are more rock than dirt which will require a jackhammer. Areas we install signs: Kendall, Pinecrest, South Miami, Coral Gables, Kendal Lakes, Sweetwater, Palmetto Bay, Cutler Bay, Homestead, Florida City, The Keys, Miami, Key Biscayne, Downtown Miami, South Beach, Miami Beach, Doral, Miami Springs, Hialeah, Miami Lakes, Palm Springs, North Miami, Miramar, Pembroke Pines, Aventura, Hollywood, Davie, Weston, Plantation, Sunrise, Fort Lauderdale, Pompano Beach. Not local? We can ship it to you, send instructions, show a video and help you through the process.